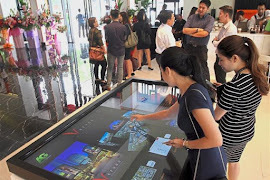 Beacon Executive Suites, a one-of-a-kind small office, home office (SOHO) development strategically located in George Town, Penang, is the epitome of modern and smart living, allowing future residents to enjoy a wide range of smart services. The freehold development by Aspen Group boasts an urban style of living with sophisticated features for the trendy urbanite seeking a balanced lifestyle. Standing at 30 storeys high, Beacon Executive Suites slated for completion in 2020 will grace the skyline of George Town with unique features such as a Sky Podium, which provides a panoramic 360-degree view of the surrounding. The Sky Podium also comes fitted with facilities such as an Infinity Sky Pool, Sky Lounge and Sky Gym. Designed to suit the fast-paced lifestyles of modern homeowners, Beacon Executive Suites are furnished for immediate move in. Aspen Group chief technology architect Sathia Murthy said the 227 executive suites with a standard unit size of 980sq ft are equipped with comprehensive IoT (Internet of Things) Smart Service Solutions for residents to subscribe based on their needs. Other services, he added, include On-The-Go Mobile App Solutions, a 24-Hour Real and Virtual Concierge Services, Real Time Mobile Security Alerts and an Executive Lounge with Secretarial Services. “An IoT hub is a device which allows you to connect multiple devices inside the unit. “Every purchaser of Beacon will get one smart application over their mobile phones, so they can actually control their home over the mobile itself using the application. “This is a software-driven home,” he told reporters during a public viewing of the project show suites after the opening of the Beacon Concept Gallery and show suites in Jalan Sungai Pinang, George Town, Penang. The public viewing recently also showcased another futuristic feature in the show units known as Alexa, Amazon’s virtual personal assistant installed with Artificial Intelligence. “She (Alexa) can tell you jokes, play movies and songs and even make coffee if you have an electronic coffee machine. “For example, I want to turn off these lights, so I say, ‘Alexa, turn off all lights’, and she just switches off the lights,” said Sathia while demonstrating Alexa’s capabilities. Aspen Group chief executive officer Datuk M. Murly said the company invested RM7mil on the Concept Gallery and the show suites with the aim of showing purchasers what Beacon is all about.